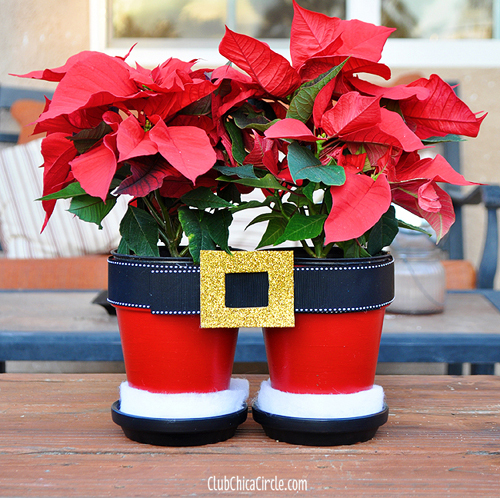 We saw this cute idea and wanted to share it with our flowerpot craft group this time of year. It's a fun and decorative way to display your potted poinsettia plants available at most garden centers. And, if you have some little ones hanging around the house this will surly make them smile. 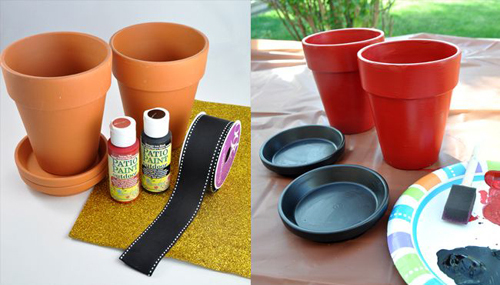 Paint the terracotta flower pots red and the saucers black, let dry. Cut 1" strip of white batting and glue to the bottom of each pot. You can substitute cotton balls or pom poms if necessary. 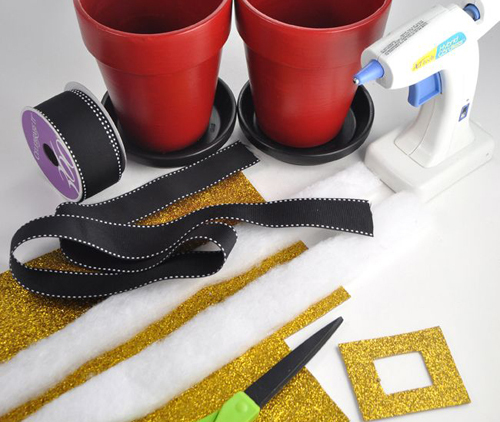 Glue the length of ribbon that fits all the way around the two pots when next to each other, adding an extra 8" of overlap. Cut a square shape from the gold glitter foam sheet, with a smaller square in the center for the belt buckle. Attach to the front. Use outdoors for holiday decor, or inside as a centerpiece. Either way these are wonderful. Read more..... December things to do now in the yard.